If you like jerky with offers a little sweet and a little heat, look no further. Keep refrigerated after delivery to maintain freshness. This beef is marinated with BBQ spices that is mildly warm to the taste. Keep refrigerated after del.. 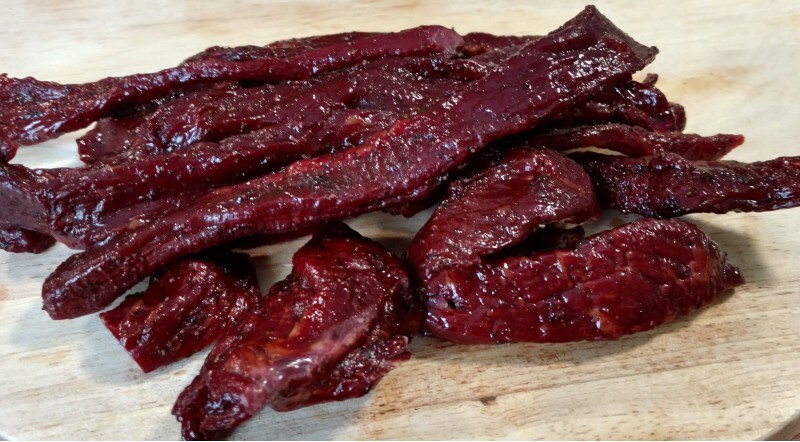 This jerky's mild smoky flavor makes it our most popular seller. Keep refrigerated after delivery to.. Sweetened by maple syrup, this beef is nothing like your traditional jerky. Keep refrigerated after.. This beef jerky is lightly glazed with honey for the perfect amount of sweetness. Keep refrigerated .. The perfect blend of sweetness with the slightly smoky flavor, Honey BBQ beef is a fan favorite. Kee.. This no-nonsense jerky is sure to take you straight to the wild west. Keep refrigerated after delive.. Looking to heat things up? Flamin' hot beef jerky will help that temperature soar! Keep refrigerated..
Flavored with Southern spices, this cajun style jerky offers a good amount of heat! Keep refrigerate..
Our spiciest offering, the habanero flavor packs a powerful punch! Keep refrigerated after delivery ..